Supersets can be defined as one of the greatest inventions of bodybuilding. If lifting makes you happy, supersets can be a powerful way to supersize your workouts and reap some extra gains from them. In addition to being a time-efficient training method, supersets promote a greater muscle fiber activation and help you ‘shock’ your muscles into spectacular new growth. Here’s how to use them in order to improve the effectiveness of your workouts! Superset are a combination of two or more exercises with similar planes of movement that serve the purpose of maximizing the amount of work a particular muscle group or muscle groups perform, thereby stimulating an increase in the rate of development of those muscles. So basically, you go from one exercise straight into the next one with little to no rest between them, for example performing a bench press and then immediately moving onto dumbbell flies. By training like this, you can save time, increase the intensity of the workout and overload your muscles more effectively. On the other side, you will usually need to reduce the weight you’re working with and focus on destroying the muscle via intensity and volume. This type of supersets includes performing two exercises which work the same muscle groups. The best way to do them is by performing a compound exercise first, then moving on to an isolation move (for example squats then leg extensions). This type of supersets refers to performing two exercises that work opposing muscle groups (while one contracts, the other relaxes), such as chest and back or biceps and triceps, which allows using a higher rep range or heavier weights. Compound supersets – Compound supersets are great way to encourage optimal muscle growth. These are supersets comprised of two compound movements or two variations of a given compound movement performed in a row. For example, deadlifts followed by squats or back squats followed by front squats. Isolation supersets – Isolation supersets don’t lead to mass gains, but are extremely helpful when you want to improve your definition. As the name implies, they are performed by supersetting two isolation exercises such as triceps extensions and triceps dips and pushing the targeted muscle to its limits. Pre-exhaustion supersets – This is arguably the most effective type of supersets. It involves hitting the muscle with an isolated exercise first and then performing a compound movement. This type of supersetting activates more muscle fibers and take your muscle far beyond its normal point of exhaustion. Post-exhaustion supersets – Opposite to the pre-exhaustion supersets, post-exhaustion supersets refer to working the muscle with a compound exercise first and then performing an isolation exercise to achieve maximum fatigue and hypertrophy. 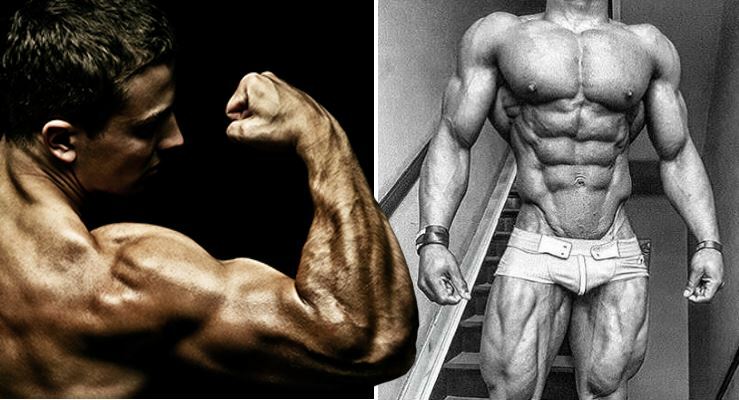 Staggered set supersets – This technique involves combining a major muscle with a much smaller and antagonistic muscle and it’s used for bringing a weak body part up to speed (for example, throwing in a set of calf raises between your sets of bench press). This is less taxing for the muscles involved, but it’s the best way to work lagging muscles while allowing for their full rest and recovery between workouts (as long as you make sure to pair exercises that target two antagonist muscles). If you’ve been training for quite a while now, you’re probably experiencing a slowdown of size gains, which have become increasingly harder to achieve with your regular training style. This marks the point when you need a change of course in your routine so that you can keep making relatively constant gains, and this is where supersets come in. You’ve probably used superset at some point of your training before, but you probably haven’t unlocked their full potential because supersets are incredibly versatile and depending on your goals and preferences, there are many different ways to incorporate them into your workouts. Perhaps the most important thing there is to know about supersets is that they work wonderfully for developing extreme muscularity, but are a lot less effective when it comes to building maximum strength because of the reduction in the amount of weight you can handle. So if strength gains are your priority, you might want to consider adjusting supersets to your goals (for example, using only antagonistic supersets which allow the use of heavier weights) or adopt another training style that focuses more on developing strength. Here are some great superset examples for different body parts to help you start implementing this method into your routine. As you can see, supersets provide plenty of possibilities to target your muscles and optimize their growth, so feel free to experiment with the help of the guidelines above and create your own beastly workouts!